American-Israeli violinist Giora Schmidt challenges the assumption that old Italian violins are superior to modern instruments. In 2011, Schmidt purchased a violin, made in 2000, by Philadelphia-based luthier Hiroshi Iizuka. For about eight years before, he had played fine Italian instruments on loan: a 1753 Milan Guadagnini and a 1743 Guarneri del Gésu. Million dollar-plus price tags often make these violins inaccessible to performers, who rely on generous donors. 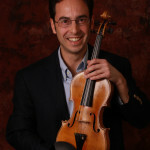 Schmidt was one of ten violinists who participated in the much-publicized 2012 “blind test” study in which modern violins often beat their older counterparts. 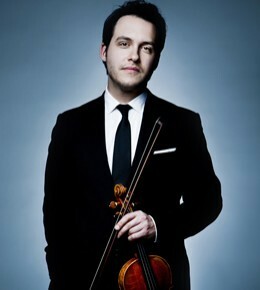 In this fascinating violinist.com interview with Laurie Niles, Giora Schmidt talks about the reasons he was drawn to a modern violin. In this clip, he plays the instrument and talks about the optimal setup of a violin (for non-violinists, type of strings, position of the sound post and bridge, and bow can alter the sound of the instrument greatly). He also talks about the ways the violin has changed and developed as it’s been played. You can hear Giora Schmidt’s violin in action in this 2013 live performance of Robert Schumann’s Violin Sonata No. 1 in A minor at New York’s Merkin Concert Hall. Do you hear anything “fresh” and “new” in the sound that suggests when this violin was made? (We discussed this stormy and Romantic piece briefly in a past Listeners’ Club post).